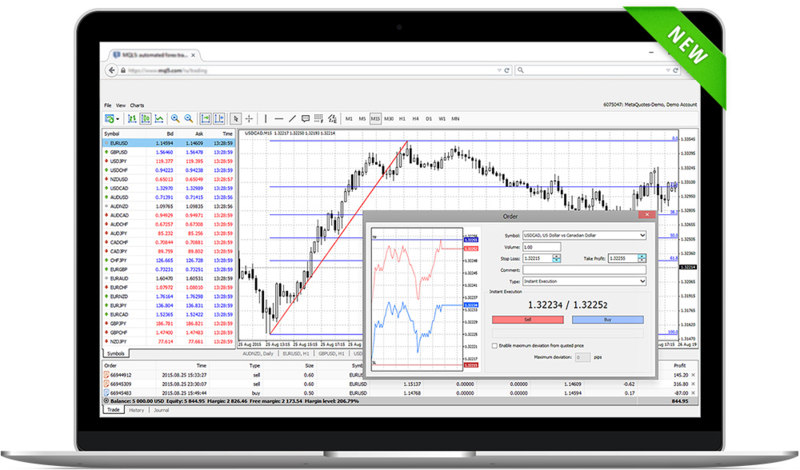 MetaTrader 4 (MT4) Desktop is one of Amana FS ultimate solutions for online trading, technical analysis, and automated trading (EAs: Expert Advisors). MetaTrader 4 (MT4), is an easy to use electronic trading platform widely used by traders worldwide. MetaTrader 4 (MT4) has a user-friendly and understandable interface that allows traders to view their orders, trades, account details as well as use advanced technical analysis tools to analyze the financial markets. To have access to trading wherever you are, Amana FS offers you the MT4 Web Trader that allows you to trade online without having to download any platform. 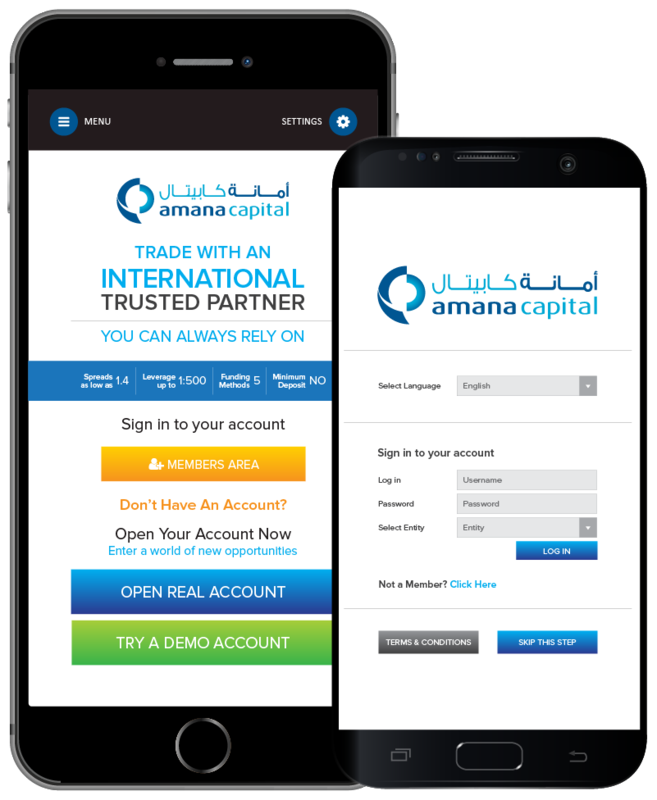 At Amana FS you are able to trade your live or demo account on the move from your mobile and tablet devices. Our mobile trading application keeps you updated with the latest real-time quotes and allow you to quickly place orders, see open positions plotted on live charts, monitor account information, easily access reporting and lots of other features. 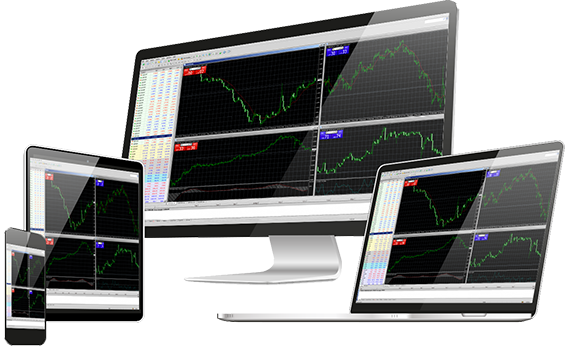 The Amana FS MetaTrader 4 for Mobile & Tablets is fully compatible with the major operating systems. Amana FS MT4 Multi-terminal allows you to manage several trading accounts through a single platform. Your MT4 Multi-terminal gives you a list of tools you need for managing all your accounts in one and at the same time! Stay updated with the latest market happenings and manage your trading account anywhere anytime. 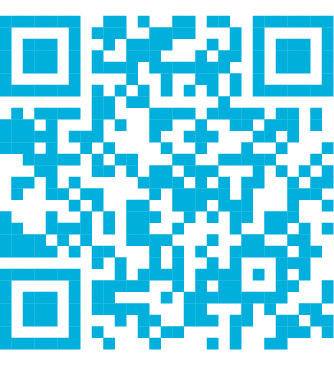 Download Amana Mobile Application especially customized for all mobiles working on iOS and Android.